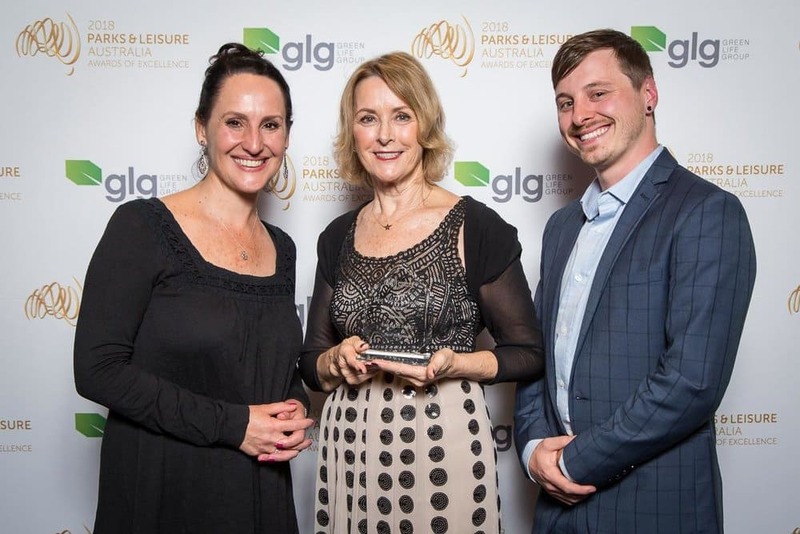 We are very proud to be part of another world-first, award-winning event with the New Horizons Parallel Parks initiative taking out the 2018 Award of Excellence for Best Use of Technology at the International Park and Leisure Congress in Melbourne this week. More than 600 delegates from around the world were on hand to watch CEO Judi Higgin and Partnership Manager Kim Gracey collect the gong. Sold Out supported video-based advertising agency Mammal Advertising and New Horizons by bringing Google on board and creating and delivering the experiential side of the project and activating it in Martin Place, Sydney. “A huge congratulations to Mammal and the New Horizons teams. We are so proud that Sold Out could be a small part and support such an incredible and innovative event,” Thomas Staunton, Sold Out CEO said. “Small part!? You guys delivered a huge event which contributed massively to the promotion and success of Parallel Parks. Good on Sold Out!” Luke Chess, Owner and Creative Partner at Mammal Advertising commented. “Thanks so much Sold Out, you are the best! You never left our sides and truly thankful for your team, support, expertise and friendship,” Kim Gracey, Corporate Partnerships Manager at New Horizons Limited said. Congratulations to everyone involved. Our team love bringing concepts to life and this program is bringing life to everyone!